NYT-bestselling ‘Windwitch’ in paperback, includes ‘Bloodwitch’ excerpt - What should we expect? NYT-bestselling ‘Windwitch’ now available in paperback, includes ‘Bloodwitch’ excerpt – What should we expect? Whether you’re already a fan of the Witchlands series or looking for your next book series binge, it’s the perfect time to dive into the world created by Susan Dennard. The paperback edition of the second book in the series, Windwitch, comes out on October 16 and will include an excerpt of the highly anticipated third installment, Bloodwitch. With a unique magic caste system and a good ratio of male to female characters, the Witchland series pulls the reader into a world where some are born with a magical skill called witchery that not only differs in type of power, but the strength of said power. Full of political intrigue and warring empires, Truthwitch, the first book in the series, opens with the end of a 20-year truce on the horizon. The balance of power now falls into the hands of Safiya (a Truthwitch) and her best friend Iseult (a Threadwitch). During their journey, they meet Prince Merik (a Windwitch) and Aeduan (a Bloodwitch) who start off as enemies, but the line quickly dissipates as war looms overhead. With a large cast of characters and multiple points of view throughout the series, Susan Dennard weaves a complicated tale that flows seamlessly between the different characters’ journeys. Each character has a distinct plotline and character growth storyline that leaves no one stagnant or less intriguing than the others. Truthwitch concentrates on Safi’s story and her rare power of being able to tell when someone is lying or telling the truth. As an introduction into the world and characters, Truthwitch packs a punch by setting the tone of the series as a darker YA fantasy where Dennard doesn’t hold back in terms of turmoil and character strife. 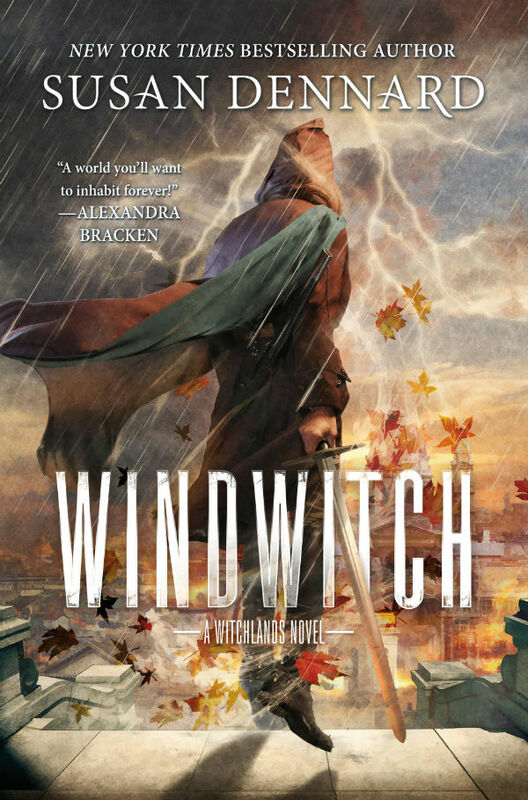 The second book, Windwitch, while switching back and forth between characters and their different paths, primarily follows Merik’s storyline, which brings to light the cliffhanger ending of Truthwitch that held readers with bated breath. 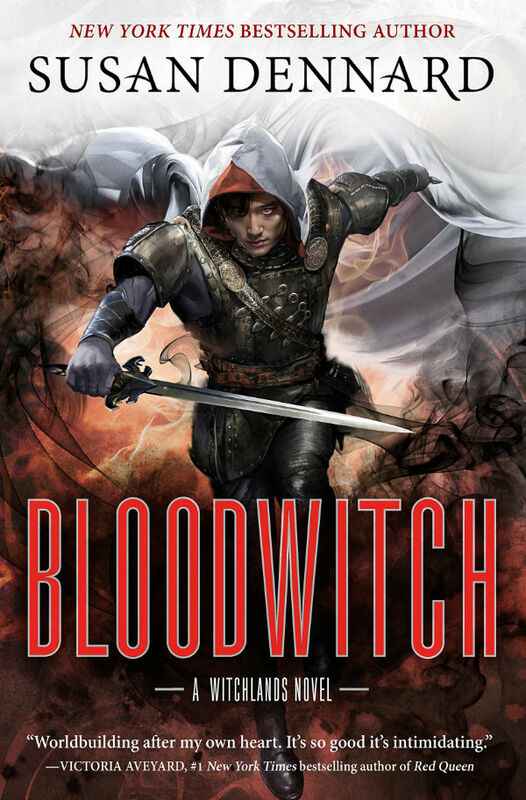 Merik’s journey in Windwitch was both heartbreaking and fulfilling, leaving me wanting to know more and hoping for a long-awaited reunion in Bloodwitch. With characters diverted from their original goals, new powers coming to light, and a gathering of foes surrounding the spread-group, the build-up at the end of Windwitch makes the months until the third book seem even longer. Bloodwitch, which comes out on February 12, 2019, will be primarily about fan favorite Aeduan, a secretive Bloodwitch who can track almost anyone, as he teams up with Threadwitch Iseult and the magical girl Owl to stop a bloodthirsty horde of raiders preparing to destroy a monastery that holds more than just faith. Surely Bloodwitch will find readers once more thrown into new character dynamics as some of the main characters come into contact with each other for the first time, or after being separated for an entire book or longer. As far as my personal hopes for Bloodwitch go, I’d like to see Merik and Safi reunited, learn more about the Fury and Merik’s condition and the consequences of it, more of the Puppeteer and Iseult’s usage of her new power, and for the Cahr Awen subplot to come to the forefront instead of merely being mentioned. This plotpoint in particular seems like it could come up in Bloodwitch, considering Aeduan is a Carawen Monk so any backstory with him could contain more info about the mysterious Cahr Awen. In other exciting Witchlands news, it was just announced at Dragon Con that The Jim Henson Company has optioned to develop the Witchlands into a live-action TV series with Susan Dennard on board as co-producer. The Jim Henson Company will build the creatures for the series, which harkens back to cult classics like The Dark Crystal, The Storyteller, and Labyrinth. The Jim Henson Company seems to be a good fit with the tone and aesthetic for the Witchlands, giving fans of the series another thing to look forward to from this amazing world that Susan Dennard has created. For excerpts and bonus material, visit TheWitchlands.com!